Smith Paving, Inc., Incorporated in the State of Texas in 2005, and maintains its principal office at 501 Thompson Lane, Austin, Texas 78742. Smith Paving is driven based on a sole balance of planning, organization, and teamwork. Through proper coordination on scheduling of equipment, materials and employees, Smith Paving is recognized for its dependability, efficiency, and quality. Through the estimating and pre-construction, we use the latest technology for calculating the quantities with the upmost accuracy to assure the proposal we submit will be competitive, precise and defined. 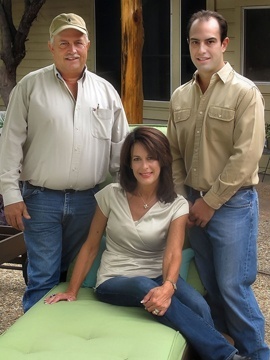 Smith Paving is a well-established family operated business. Since assuming his role as President of Smith Paving Inc. Casey has brought energetic leadership. Casey brings forward-thinking philosophies, including the philosophy that principles have direct involvement in day to day operations of all projects. Casey personally manages and directs the Quality Assurance Program, such that contractual requirements and obligations are fulfilled in accordance with drawings and specifications, and all work is completed safely, within budget, and on schedule, with special emphasis being placed on safety goals and quality assurance. He brings experience and expert knowledge of In-Site Software to ensure accurate pricing for your budget. Casey will work with you directly to provide quantities, take-offs, grade adjustments, and value engineering options. Kathy manages all financial operations including financial statement preparation, accounts receivable and accounts payable. She has worked in the construction industry, with her family-owned Commercial General Contracting business for over fifteen years. She assisted project managers on school projects, medical facilities, office buildings, churches, and retail development. A veteran in site construction of over thirty years. Glen’s extensive experience includes office projects, schools, churches, retail centers, medical centers and subdivisions. His career has been marked by active participation in civic organizations, including the Austin Chapter of the Associated General Contractors of America, and Texas A & M Former Student Association. Glen also holds a Bachelor of Science degree from Texas A&M University.